The news that Boris Johnson will be in the audience for Theresa May´s speech brings to mind one of Florence’s great assassination attempts: the Pazzi conspiracy. In April 1478 Francesco de Pazzi led a plot to murder two of the leaders of the Medici family, Lorenzo and Giuliano, at mass in the city's Basilica de Santa Croce. The Pazzi failed, were hunted down, killed, and their chapel in Santa Croce stripped. The family's achievements were effaced from its walls. Its plain paint stands as a warning to anyone who dared cross the Medici: you will lose, be known for your treachery, your works forgotten. It is even said that pazzo, Tuscan for madman, derives its meaning from this failed coup. In the first couple of days after the publication of Boris’s Manifesto Pazzo in the Telegraph, this seemed to be Johnson’s fate too. Ruth Davidson and Amber Rudd plunged their daggers in asking whether it had really been the right thing to do on the day of (of all things) a failed terrorist attack. Michael Gove, originally tipped to come to Boris’s aid, denied, if you will, that he had even been to church that Sunday. Boris himself was left with nothing except to let it be known that he would resign if he didn’t get his way over the content of the Prime Minister's speech. He appears to have demanded, using the snow-covered nations we've got used to as stand-ins for complex treaties with the EU, that she rule out an attempt to seek the Norwegian (or perhaps Swiss) option the chancellor and his allies had been pressing upon her. This now apparently achieved, he withdrew his resignation threat. In this he appeared to display a little of that quality Machiavelli so admired, virtù, in which a sense of when to seize the initiative plays a large role. He converted a botched leadership bid into an act of defiance in the Brexiteer cause and resistance to a further shift in the government's position towards remaining in the EU's legal orbit. But Machiavelli wouldn't have recognised the foreign secretary's actions as true virtù. Boris's personal ambition may have prevented his faction suffering a setback in Britain's internal power struggle, but at significant cost to his country's negotiating credibility. Since the election we have begun to see the emergence of what is being called a Swiss-style UK negotiating position. Disputes to be resolved by a mechanism like the EFTA court. "A" customs union using advanced technology to achieve results on the Northern Irish border. Close cooperation on security and counterterrorism (so close that the government's position paper on the security relationship after Brexit is hard to distinguish from the then Home Secretary’s speech on why it was better to remain). Unilateral immigration restrictions. Payments in for a transitional agreement. There's plenty to criticise in this position, and I won’t bore readers with a list of its flaws. But it is an improvement on the pre-election strategy of fiat Brexit ruat caelum (Do Brexit though the heavens fall). The Swiss idea falls in between three conclusions the EU is willing to consider, and over two of which the Cabinet is divided: membership of the EEA and Customs Union (Norway plus), or a standstill transition that will lead to a Canada-style FTA. The third is a minimal deal that would leave the UK and EU without a preferential trade agreement but with basic practicalities in in place. To continue the wintry theme, this would make Britain a "third country", like Russia before sanctions were imposed. If Britain wants to avoid a chaotic brexit (not merely a minimal deal, but a mire of legal uncertainty where planes may not be able to fly, money not be able to cross borders, and food is held up at ports) it should have to choose one of the three. Here, however, the national and personal interests diverge. The personal ambition of anyone courting the Conservative party membership requires they cater to what Jacob Rees Mogg endorsed as the “romantic” ideal of Brexit. A Savonarolan stand against the EU, a bonfire of its elites and all their vanities. A dream to leave with nothing but the catharsis of walking out on one's own terms. 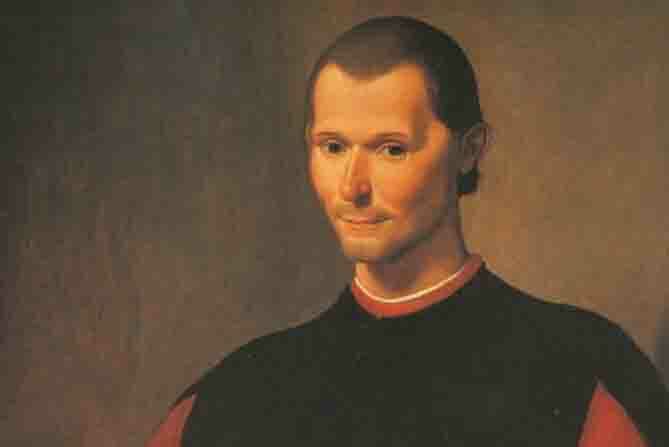 Such a pazzo Brexit would have appalled Machiavelli. Were he advising the Prime Minister, he would counsel that a deal was absolutely necessary. And since a Swiss compromise is impossible the Prime Minister should seek from her party the whole-hearted endorsement of a single option. The Florence speech is the chance to see if she can convince her party to follow her. And if, as is likely, she cannot, virtù demands that hold a contest to find someone who can. A half-hearted fudge, he would argue, risks the government reaching an agreement it can't get through parliament. If that happens the administration surely has to fall. Better for Britain, he would say, to seize the opportunity now, when there may still be time to recover from failure. But such virtù is in short supply. Across Westminster, officials MPs and journalists place their hopes in a miraculous intercession by Angela Merkel, the sudden appearance of divisions between the EU27, and even a last magical prestidigitation by Tony Blair. They're waiting for something to turn up. The Prime Minister looks to have squandered this opportunity to recast her approach to the Brexit negotiations, but pazzi aside, it is difficult to see anyone else who wouldn't have.